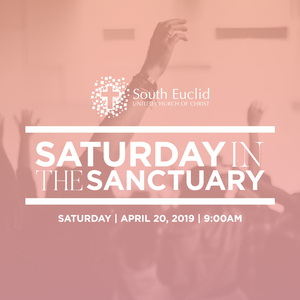 Join us for our Saturdays in the Sanctuary Prayer Service! Posted on April 20, 2019. Please join South Euclid United Church of Christ for a time of corporate prayer and praise. Saturdays in the Sanctuary is an opportunity for our faith community to spend quality time in prayer. If you have a special prayer of thanksgiving, petition or intercession, come to Saturdays in the Sanctuary.